Named for a flour mill building that once stood on the site, Monarch Mills is a newer development that includes 56 one and two-bedroom affordable-housing lofts and 13 market-rate lofts. 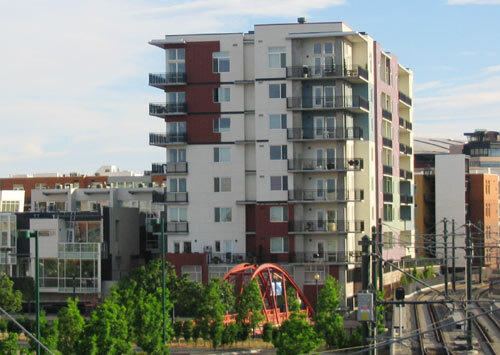 Located between 15th & Delgany Streets next to Riverfront Park, it offers residents easy access to Lodo restaurants & pubs, Larimer Square, Tabor Center and the cultural Denver Center for Performing Arts. Also within walking distance are the Pepsi Center, Coors Field and Invesco Field. Individually controlled air conditioning and forced air heat.